"Hello my name is Teri and I am a Peepholic". The first step is admitting you have a problem. The second step is not buying Peeps in every color. Well that is just impossible. Made these Peep S'mores the other day and took my addiction to a new level. All you need are graham crackers, Hershey's Chocolate Bars and your favorite colored peeps. 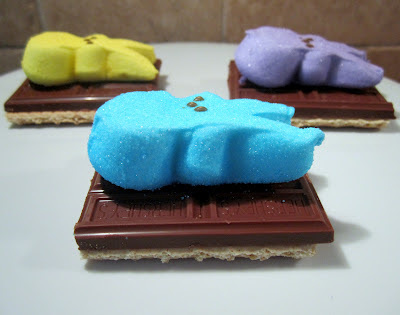 I used bunny peeps because they fit on the graham cracker perfectly. 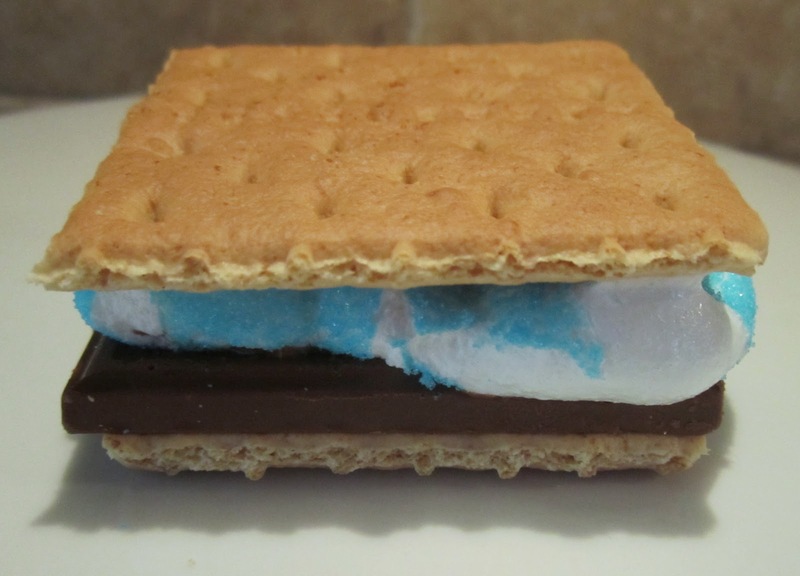 Layer like the above picture, heat in the microwave for 6-8 seconds and squish another graham cracker on top. It doesn't take long to heat these up so be careful. Peeps will blow up! I learned this the hard way. Aren't you glad you can learn from my mistakes? Enjoy!